This is your chance to help us GIVE BACK. Any purchases of products or services from this page guarantees a minimum donation of 10% of profit will go to help women/children in need, the homeless, or to support an animal rescue or rehab program. We also support #inclusion by donating funds to train/hire young people on the autism spectrum. The products and services below help us to help others. A minimum of 10% of profits will be donated to local non profits or goodwill initiatives helping people or animals in need. Your support of these endeavors will help us reach our goal of helping more local homeless, more women/children in need, to support our favorite animal rescue/rehab programs, and/or to help us train/hire additional young people on the autism spectrum. If you’re lucky and you know it … raise your paw! We are avid animal lovers. Our Lucky Cat products feature one or both of our special kitties designed by artist Charrise McCrorey of Be Wildly Happy and were created specifically to fund animal rescue/rehab works. Buy something great for yourself or a friend … and animals in need win! 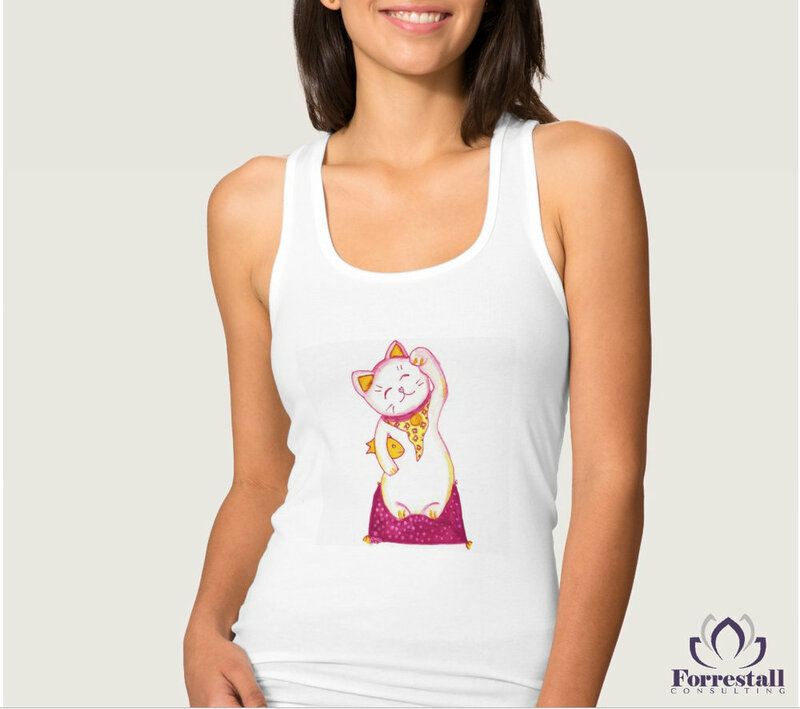 Check out our Zazzle Store of Lucky Cat Products. If you need to improve your SEO and digital marketing strategy and execution based on leading-edge data analysis, Web-mo can help. SERVICES: *paid search *search engine optimization *landing page optimization *display advertising *extensive data analysis & reporting. Web-mo is an official Google partner that offers our clients and friends special benefits. This is a company we work with regularly and refer our clients to. Friends of Forrestall Consulting receive a free customized report/data. * Register NOW to receive a free report on your website or landing page. Free information, with no hassle or pushy sales. Whether you’re a business owner or someone who is approaching retirement, your goals and needs can change drastically. You need a Smart Money Specialist that understands these changes and knows how to provide solutions to these unique challenges. My goal is to bring financial awareness and assist people in taking charge of their financial future so that they can retire comfortably and stress free. Gary offers complimentary financial check-ups to our clients and friends. Contact him to ask a question or schedule your free session today. Call 626-676-3766 or email Gary anytime gary@gemlifefinancial.com.